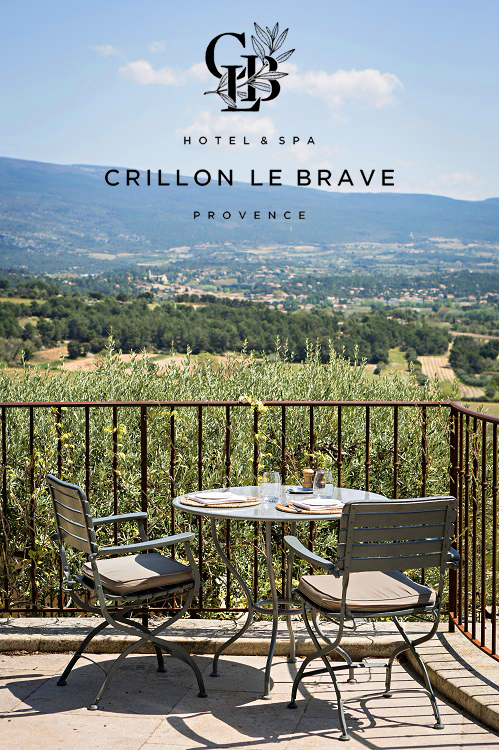 Crillon Le Brave Relais & Chateau and Le Hameau share a same approach of hospitality. Last October, the vintage convertible rally organized by le Hameau stopped at Crillon le Brave, a remarkable medieval village in nearby Vaucluse where the Relais & Chateau is nested. 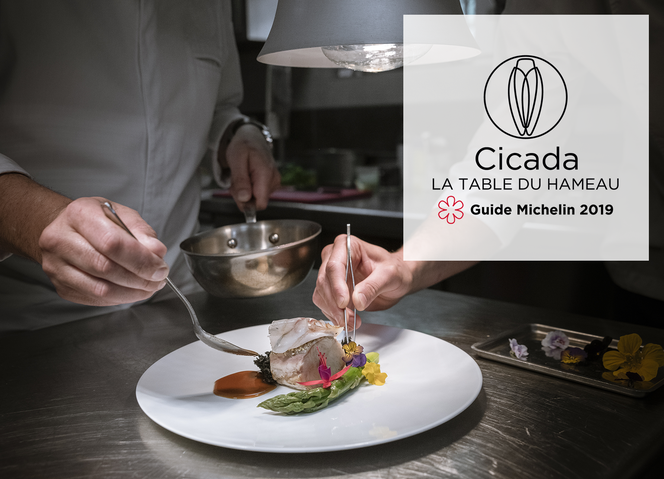 This time, it is the luxury hotel’s Michelin starred chef Julien Marseault who will stop by Les Baux, for a gourmet cook-off. The Iroise sea native chef unfolds an outstanding resume ((Patrick Le Guen of l’Agape Sainte Marine, Paris’ Guy Savoy at the tender age of 21). He also set foot in Corsica, around Porto Vecchio, where he got his star for the first time, at the renowned restaurant of U Santa Marina. After a short break in Lausanne, Switzerland, and a back-to-his-roots long stop at Le Château de Sable (Sand Castle) in Brittany, he finally settled in Provence, where he practices a Mediterranean cuisine with a Briton twist. As colleague chef Christophe Chiavola, he confesses a fondness for surf and turf courses and distinguished gourmet cooking. For instance, one of his signature creations is the oyster from Tarbouriech, (a top oyster producer from étang de Thau) prepared with red Chateauneuf du Pape icing and smoked sabayon. Another favorite is the provençal pigeon cooked with peas, cherries and squids. Both chefs love the Mediterranean sea, so they have decided to go for an –almost- all fish and seafood theme. Expect itsy bits of meat here and there, just to spice up the taste. Chef Marseault will cook abalones, his favorite seafood, a lesser known shellfish but extra tasty, and spelt from Mount Ventoux. Be prepared to feast ! 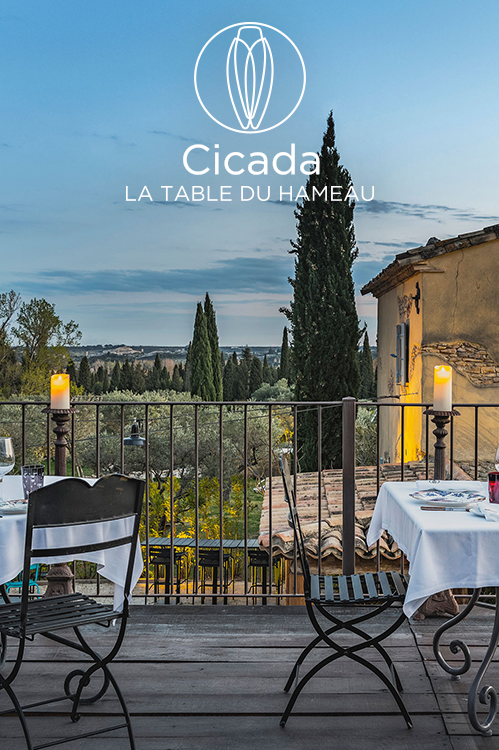 See you on Friday, March 29 in Cicada, the Table du Hameau, for a special menu at 95€.